Are Rekkles’ best days behind him? The Fnatic star looked mortal this year for the first time in a long time. Can he prove that he’s still elite at Worlds? 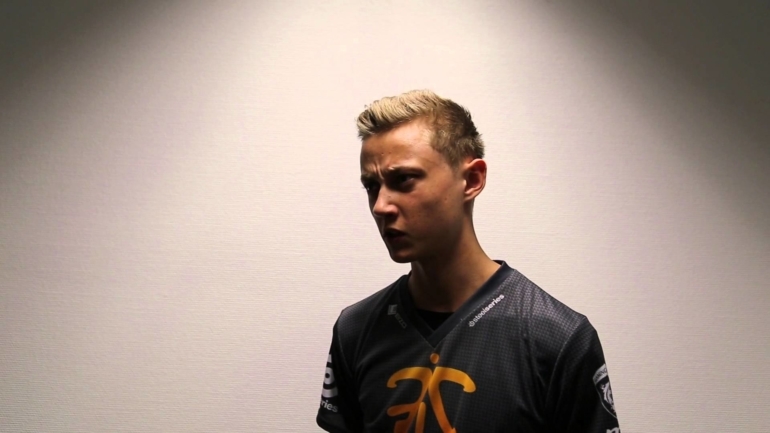 When Martin “Rekkles” Larsson joined Fnatic’s main roster in 2014, he was an instant hit. He had waited patiently until he was age-eligible to compete in the LCS. His first tournament was a resounding success: Fnatic made it to the final of the IEM Season VIII World Championship, losing to KT Bullets. The young Fnatic squad acquitted themselves well though, and Rekkles had a strong performance against then-jungler Go “Score” Dong-bin. He even busted out Vayne, one of his trademark champions, when facing match point. The next year was even better for Fnatic. After a short dalliance with Alliance, Rekkles rejoined the team just in time for them to go 18-0 in the EU LCS Summer Split, a record that has yet to be matched. They cruised through an easy group at Worlds and then crushed EDG in the quarterfinals to join Origen in the semifinals of League’s biggest tournament. But instead of building on that success, Fnatic regressed. They lost their starting top-jungle duo of Heo “Huni” Seung-hoon and Kim “Reignover” Yeu-jin to the NA LCS, and without them, Fnatic couldn’t make a dent in Europe in 2016. After missing Worlds, the team struggled during an up-and-down 2017 Spring Split that fully revealed how reliant the team was on Rekkles—and how useless he could look without a lot of support. Fnatic tried an early version of the funnel comp built around Rekkles’ pocket Kennen, a champion that he used with aplomb at Worlds 2015. But it wasn’t 2015 anymore: By then, the rest of the league had passed Fnatic by. The Kennen was no longer a hidden OP champion—he was just quirky. Fnatic lost 3-1 to G2 in the spring quarterfinals and continued to look lost for most of the Summer Split. The team’s Rekkles-centric strategy just didn’t work anymore. So they moved on. Mid laner Rasmus “Caps” Winther was given the reins and he carried the team to a surprise quarterfinals appearance at Worlds last year. But once again, when Fnatic needed him, Rekkles disappeared in the match against RNG. Maybe he’s tilted whenever he sees Royal bot laner Jian “Uzi” Zi-hao’s name on the opposing team. Rekkles has a history of playing poorly against Uzi, a trend that has continued this year. What Fnatic saw was an even greater need to move away from their ADC reliance. This year, Caps and jungler Mads “Broxah” Brock-Pedersen became ensconced as the team’s priority in draft and play. The final vindication wasn’t just the two domestic titles Fnatic won, breaking a two-year streak of only G2 on top of EU. It was how Fnatic looked when Rekkles wasn’t even in the lineup: He was subbed out for most of the Summer Split in favor of substitute top laner Gabriël “Bwipo” Rau. Rekkles’ fans will point out that his absence was largely due to a meta that shifted away from the marksman he’s best at and toward the mages and bruisers that Bwipo favors. But even since Rekkles came back near the end of the split, the team just doesn’t feel the same. They’re still dominant, but there are definite games where Fnatic goes awkwardly back to their old bot-centric strategy, as if to give Rekkles an opportunity to gain some confidence playing his old way. And it can’t be ignored that Fnatic are finally winning again after G2 lost Jesper “Zven” Svenningsen, by far the best bot laner in the region over the last few years. There are some strong signs, like the final series against Schalke 04, in which Rekkles stepped up in a big way. But are those signs enough? Fnatic head into Worlds as one of the strongest Western teams, but with a question mark hanging over the head of their bot laner. It’s clearly Caps’ team now, but at some point, they’ll need Rekkles to step up. It might be in the group stage against Yu “JackeyLove” Wen-bo of IG. Or maybe it will come in the knockout round when Rekkles is placed against another top-tier ADC, which he hasn’t really seen in Europe. Even if it’s Uzi, Rekkles has to find a way to step up without requiring vast amounts of resources from the other positions. Fnatic clearly believe that Rekkles has a lot left in the tank—it’s the only reason they would give him the reins in the summer playoffs. It’s up to Rekkles to prove that his best days are yet to come.